Every time we get in our car and head down the road, we put ourselves at risk for dings, dents, and who knows what else. Even when our cars are parked we can fall victim to hail, sun damage, and the dreaded fly-by bird droppings. As car lovers, we do everything we can to protect and maintain the exterior of our vehicles to ensure they stay looking shiny and new. So why wouldn’t we do that with the interior too? 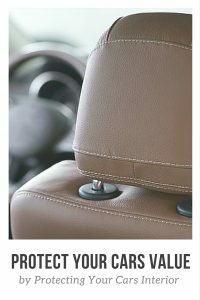 Many of us think that the inside of our cars remain protected because well, they’re inside. But what we forget is that our interiors are subjected to just as much abuse as the exterior, and without a proper care plan in place, can be damaged quite quickly. The sun coming through your windshield isn’t just making your seats hot; it’s fading your interior. And that coffee spill? That’s a stain that will stay forever. 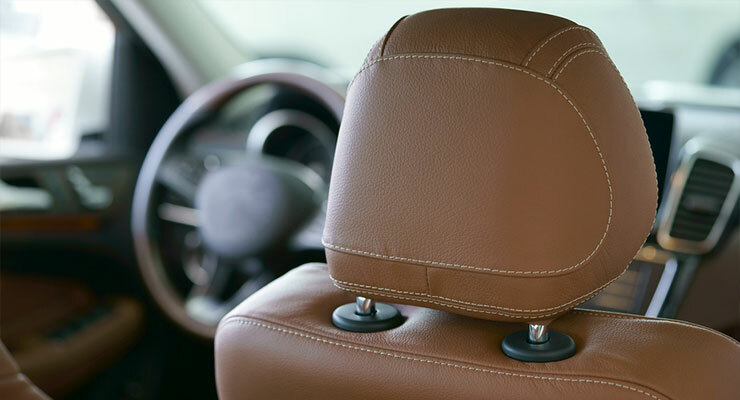 We could all do a better job of protecting the interiors of our cars to ensure maximum comfort and longevity. Follow these simple tips and your interior will remain as cherry as your exterior. We all know how stifling it can be to sit in your car on a hot summer day and wait for the air conditioner to do its job. When the temperature outside gets to be 80 degrees or more, the temperature inside a car that’s sitting in direct sunlight can quickly rise to 130 degrees or higher. One way to remedy that is by blocking out direct entry points where sunlight gets through with windshield sun shades. Most are in universal small, medium, and large sizes, but there are also vehicle-specific sun shades that ensure ultimate protection. Dash and rear deck covers. Heat isn’t the only byproduct of direct sunlight coming through the windows of your car. Even when temperatures aren’t high, the sun can damage your interior – specifically your dashboard and rear decks, which are most exposed through your front and read windshields. The sun can fade and crack dash tops – especially dark-colored ones that absorb light even more – but a solid set of dash and rear deck covers will keep these areas cool and protected. It’s important to remember that floor mats protect our interiors from more than just rain and snow. If you camp or frequent the beach, you’re dragging dirt and sand into your interior. Just walking outside before getting into your car can bring gravel or grass inside as well. Combined with how often our mats shift around from getting in and out, it’s too easy for our carpets to get damaged. “All-weather” style mats, though usually associated with cold weather, are equally effective in protecting carpeting in the summer. That’s why they are called “all-weather!” These will stay in place to collect water, dirt, and whatever else you can throw at them, while also protecting your carpet from the wear and tear of your feet. Easier said than done, right? We’ve all had that nightmare moment when the hamburger we were eating falls and the ketchup/mustard is smeared all over the seat. Since we’re driving, we usually can’t get to it right away and then it gets forgotten about. Stains may become baked onto surfaces, and will be harder to clean if not attended to right away. I’d recommend keeping some sort of fabric cleaner and a little brush in your trunk. That way you can quickly pull over to remove the stain, or at least address it when you reach your destination. No one wants to sit on dried condiments. Investing in some of these accessories does carry a cost, but it’s far less than what you would pay to reupholster your seats or have your carpets professionally cleaned. There’s also simple tactics like trying to park in the shade whenever possible, or knocking dirt/sand off your shoes before getting into your car. By taking a few simple steps, and with a small investment, you can ensure the inside of your car remains in great shape for years of driving to come.